Where Dogs Come to Jump, Splash, Swim, and Play! dock jumping decks, and all the fun your dog can handle! Does your dog love jumping, swimming, splashing, and having fun in the water? Now your best friend can enjoy the excitement of swimming all year round! 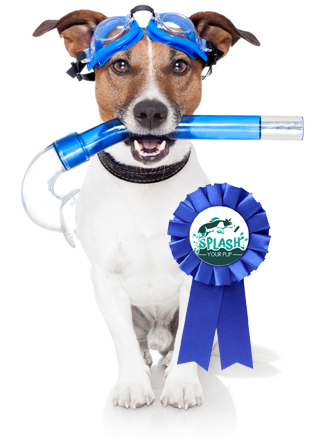 Splash Your Pup is a dog swimming and dock diving facility owned and operated by nationally recognized and certified dog training specialists. Our indoor pool offers dog ramps and diving platforms designed to provide dogs with an opportunity to practice diving, get casual exercise, receive professional training, or just splash and play! We use an advanced ozone filtration system, combined with safe and non-toxic minerals, to ensure the safety of your best friend and keep the pool sanitary with minimal use of chemicals. Our members can enjoy private swim sessions, one-on-one training, group swims, and more!